Splitting an atom, or nuclear fission, has resulted in incidents where dangerous radiation was released, and these events have become bywords for destruction and disaster: Hiroshima and Nagasaki, Three Mile Island, Chernobyl and, most recently, Fukushima. The technology to release energy by splitting heavy elements such as uranium and plutonium was developed over the last century. The energy produced by nuclear fission can be harnessed, but also represents the greatest source of risk associated with splitting an atom. When an atom is split, three types of radiation that can damage living tissues are released. Alpha particles are made up of protons and neutrons and cannot penetrate human skin, but do damage if released inside a body. Beta particles are electrons that move very quickly and can penetrate the skin, but will be stopped by wood or metal. Gamma rays are high-energy beams that can penetrate bodies and require significant protective shielding. All types of radiation damage living tissues through a process called ionization. Ionization is the transfer of energy to the molecules that make up tissue, breaking chemical bonds and causing damage to cells and to DNA. Short-term exposure to high levels of radiation results in acute radiation poisoning. Symptoms include vomiting, hair loss, skin burns, organ failure and even death. Most exposure to radiation isn’t acute and the risks of low-level long-term radiation exposure are called stochastic health effects. "Stochastic" refers to probability, in this case the increased probability of certain health problems. Stochastic health effects include an increased risk of cancer and of passing genetic mutations on to offspring. At three times the normal lifetime dose of radiation, it is estimated that five or six people out of 10,000 would get cancer. During nuclear fission in a nuclear reactor, one atom splits and releases neutrons, which initiate the same process in nearby atoms. In nuclear reactors, this process is carefully controlled, but during a nuclear reactor meltdown or the detonation of an atomic bomb, it can grow exponentially until many nuclei are releasing energy at once. Uncontrolled reactions generate heat, force and radiation on a regional scale. Because of the potential risk, nuclear power plants have safety plans and containment systems, and are hardened against terrorist attacks. Rods of uranium and plutonium are used in a nuclear reactor, but the atoms in the rods get used up until only a few are left. Once they have exhausted most of their supply of atoms for fission they are considered waste. These waste rods are still a risk, however, because they continue to react at a much slower rate and emit radiation. Disposing of radioactive waste creates a risk for the surrounding area. It is estimated that the spent fuel rod waste for one nuclear power plant will result in one death for every 50 years of operation. 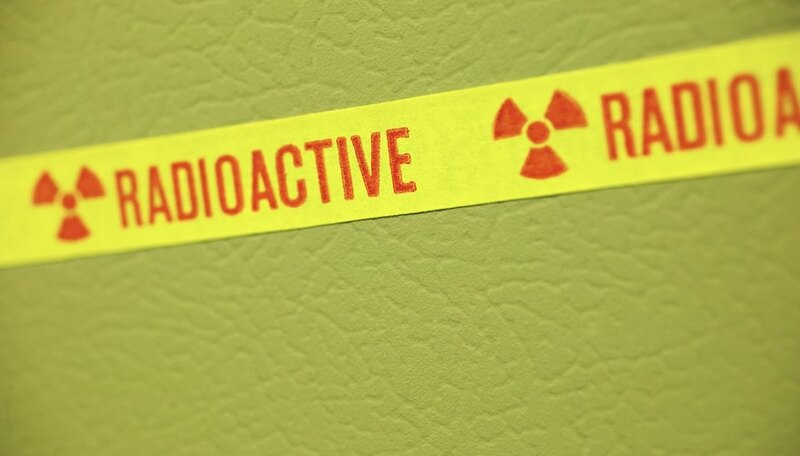 World Health Organization: What Is Ionizing Radiation? Becker, Andrea. "What Are Some Risks When Splitting an Atom?" Sciencing, https://sciencing.com/risks-splitting-atom-23817.html. 24 April 2017.